Having friendly animals comforting the afflicted seems intuitively sensible. Now researchers are confirming that with measurable results. Kate, 14, has been having a tough time coping with Lyme disease and pneumonia, but as she scrunches over to make room on her hospital bed for Jinx, a super-friendly, black-and-white border collie, she brightens visibly. Jinx is a welcome reminder of home and happier times ahead. As she ruffles the thick, glossy coat, Kate talks about her own dog — a golden retriever/collie mix — and other pets waiting for her after she goes home from the hospital. On a recent Friday evening, Jinx and her owner, Mary Arango, began their rounds in intensive care, moved through pediatric and surgical wards and finally made their way up six floors to oncology, where they brought a smile to the face of Christine Laird. Arango, who gets this sort of reaction all the time, is also smiling. For 15 years, she has been making volunteer visits with her therapy dogs, first to a veterans’ nursing home in Alabama, and for the past decade, she’s been delighting patients — and staff — at Cottage Hospital in Santa Barbara, Calif. While combining careers as a math teacher and photographer, she also trains and certifies therapy dogs, is an evaluator for Therapy Dogs International and is writing a book about these extraordinary animals. Such are the therapeutic benefits of dogs, and to an extent cats, rabbits, guinea pigs, birds, fish — even horses and farm animals — that pets are an increasingly common sight around hospitals, rehabilitation centers, hospices, assisted living facilities and retirement homes. Green Chimneys, headquartered in Brewster, N.Y., has been a pioneer in AAT. 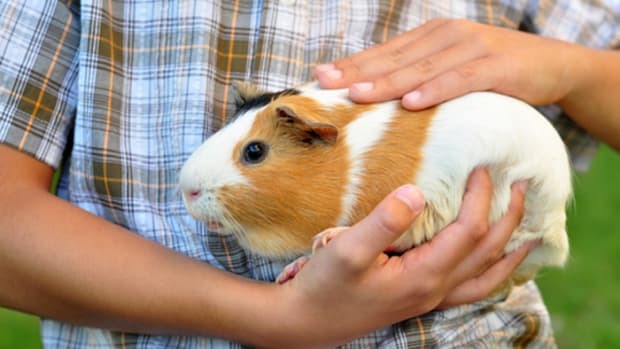 For 60 years the organization has been using interaction with animals to provide a caring learning environment for emotionally vulnerable and academically challenged at-risk kids. Today, around 200 children and others with developmental difficulties share a few hundred acres of farmland where their education very much embraces all nature has to offer, including an assortment of animals, birds and plants. And the Animal-assisted & Creative Therapies Center in Bradenton, Fla., has taken things a step further, using dolphins — and now an animatronic dolphin — to help special-needs adults and children. Animals are helping resolve physical and mental health issues for a wide variety of patients and residents, from children to the elderly — and they’re carrying quite a caseload, from drug abuse, strokes, diabetes, autism and grief counseling to accident victims, Alzheimer’s patients, wounded service personnel and the sexually abused. Measureable benefits, say researchers, include lower heart rate, respiratory rate and blood pressure, reduced stress, anxiety and depression, improved self-esteem and social skills, and an increase in key neurochemicals such as serotonin and dopamine. Separate studies have also shown positive outcomes not just for patients but for their families, associated medical staff, the animal owners and even for the animals themselves. “There’s something unique about the human-animal bond,” says Debra Sellers, assistant professor in adult development and aging at Kansas State University’s School of Family Studies and Human Services. She first tapped into what she describes as a “powerful tool” when she began taking her own dog along to therapy sessions at a long-term care facility. Later she conducted a highly focused academic study showing that AAT could help modify the behavior of elders with dementia, improving their quality of life. While Sellers sees a need for more quality research in this field, including studies involving animals other than dogs, she’s convinced that AAT has a role to play in the future of health care. 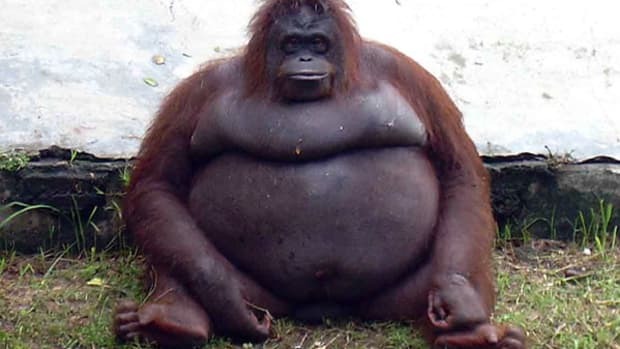 The Delta Society, a national organization aiming to improve health and well-being through positive interactions with animals, references about 90 studies of animal therapy on its Web site, www.deltasociety.org. • Adults struggling with eating disorders are benefitting from horseback riding, learning that controlling a horse gives them the confidence to control other things in their lives. • Children with autism, who find trouble sitting still and focusing, are learning just that by petting or grooming a small dog. • Other youngsters, anxious or embarrassed about reading aloud in class, are happily honing those skills, and their self-confidence, by reading to dogs. • Stroke victims may be encouraged toward physical therapy by helping take a dog on short walks. And as the growing body of research continues to affirm the bold claims being made for this type of therapy, so too researchers are starting to discover why — why it is that damaged bodies and minds react so beneficially to the touch, sight or even just the presence of an animal. The origins of AAT can be traced back at least to late 18th-century England when, according to Aubrey Fine’s Handbook on Animal-Assisted Therapy, animal companionship was first used in treatment of the mentally ill. This echoes modern research into the benefits of pet ownership, which confirms how the unconditional love and comfort provided by a dog, cat or other small animal can pay huge physical, emotional, mental and social dividends. Many of those findings have been documented by agencies such as the Centers for Disease Control and the National Institutes of Health. 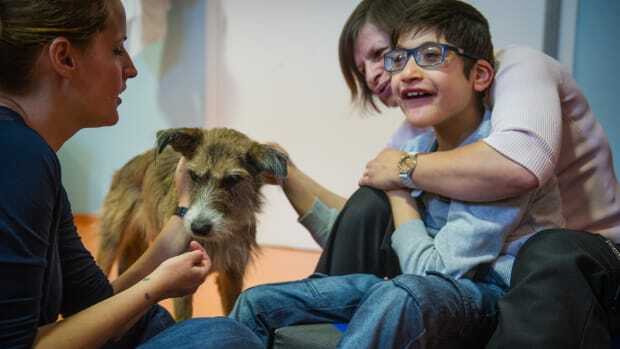 Animal-assisted activities take those outcomes one step further, having animals, most often dogs, visit and interact with patients and residents at various institutions in a casual meet-and-greet atmosphere. 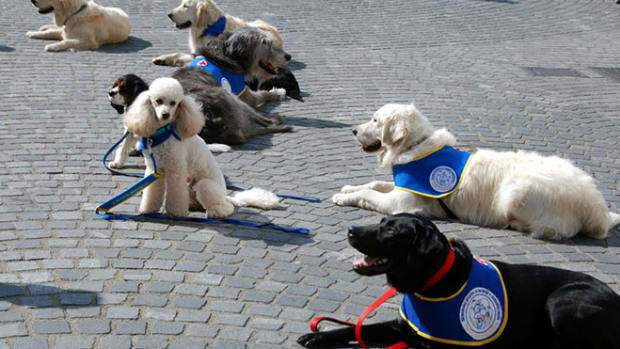 Therapy Dogs International, based in Flanders, N.J., was founded 1976. Last year more than 19,000 dogs and their handlers were registered with the organization, which operates in all 50 states and Canada. Similarly, Love on a Leash, started in 1984 and incorporated as the Foundation for Pet-Provided Therapy in 1995, has more than 900 members in 28 states. However, AAT takes therapy to another level by seeking to extract the same benefits from casual animal-patient interactions but in a clinical setting where progress toward clearly defined goals is monitored and measured. 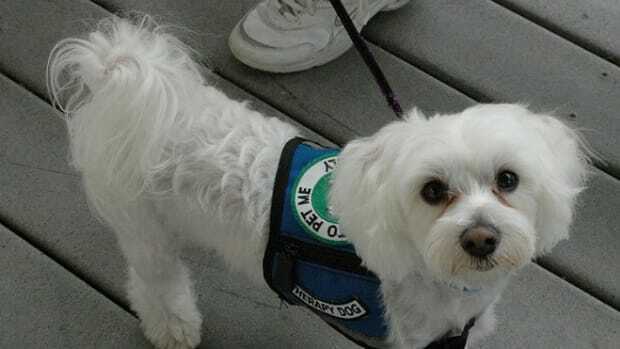 The Delta Society, based in Bellevue, Wash., has around 10,000 registered therapy animals, mostly dogs, and a serious commitment to AAT: The organization helps health care professionals and facilities set up AAT programs. “We have the tools and resources to guide them,” said Turnbull. However, the society does not track the number of institutions running such programs, and Turnbull is unaware of any such central registry charting the rise of AAT. Nowhere are those tools being applied to greater effect than at the Inova Fairfax Hospital campus, in Virginia, where registered nurse Leslie Horton works almost full time as the animal-assisted care coordinator. The program, started in late 2001, has enjoyed remarkable results. About 20 dogs have become an integral part of critical care, providing comfort to trauma and stroke victims, heart, lung and bone marrow transplant patients, those dying of cancer and others. After 26 years working in intensive care, Horton knows all about the different levels of comas and patient responses. “The animal does stimulate something within them that helps them wake up,” she said. The AAT program is carefully measured, and the results are being compiled in a report due out later this year. Horton hopes it will demonstrate both improved patient outcomes and financial benefits for the hospital. There is some resistance from the medical profession, she said, based primarily on fears of infection, especially the spread of antibiotic-resistant organisms that could put patients and the wider public at risk. She calls this an “appropriate concern” but says such risks can be minimized by following guidelines from the federal Centers for Disease Control, Delta and the Association for Professionals in Infection Control and Epidemiology, Inc. Horton says after “at least 12,000 visits,” Inova’s program has no known cases of crossover infection. Some resistance is also founded on fears of dogs biting or otherwise injuring patients, and the belief that the use of animals in therapy may not always be culturally or otherwise appropriate for certain patients. Horton says these fears can be allayed by using well-trained animals that are good-tempered and enjoy working with people, educating the handlers and screening patients to make sure they want this type of contact.